WinAVI All-In-One Converter is a professional application designed to convert the most popular video and audio formats. It can convert almost all videos and audios to play them on PC, Portable media players, iPod and so on. 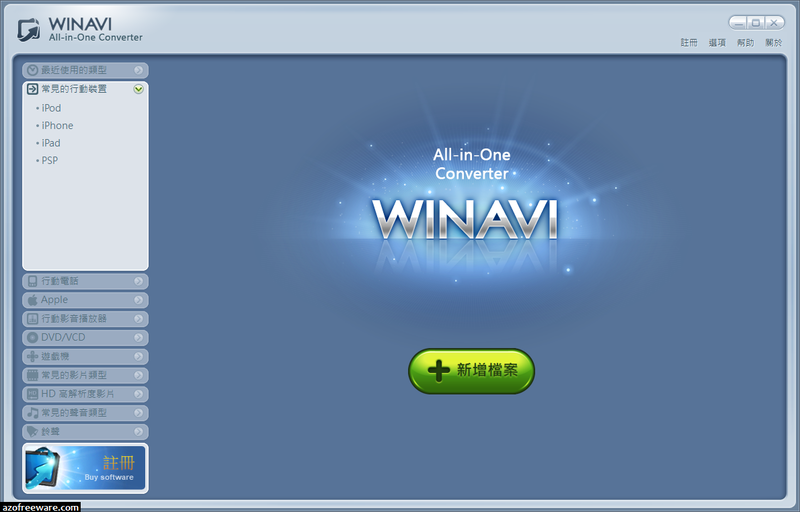 WinAVI All-In-One Converter is the best and world's fastest converter for video and audio conversion among popular formats like AVI, MPEG1/2, MP4, WMV, FLV, MOV, VCD/DVD, XviD/Divx, 3GP and so on as well as audio formats including MP3, WMA, WAV, etc. Double conversion speed and convert 4G movie only need 10 minutes.